LONDON — From jungles to deserts to mountains, the BBC's epic nature series "Planet Earth II" takes viewers around the world — and around many genres of television. The fortitude of a penguin family tugs heartstrings like a love story. The snail's-pace courtship of a three-toed sloth is soothing comfort TV. And a life-or-death contest between baby iguanas and writhing racer snakes is heart-in-mouth action thriller. The seven-part series, which begins in the U.S. on Saturday with a simulcast on BBC America, AMC and SundanceTV, is a spectacular demonstration of how far nature programs have come. And no one has been more closely linked to their evolution than David Attenborough, the 90-year-old naturalist who narrates "Planet Earth II." Attenborough has been making wildlife documentaries for so long that, when asked about the biggest technological change he's seen, suggests "the shift from black-and-white to color" before settling on the transformative power of digital photography. Speaking to The Associated Press ahead of the show's U.S. premiere, he said in the days of celluloid film, "I went for as long as 2 1/2 months without seeing what I'd filmed." A decade ago, the BBC's original "Planet Earth" was the first nature series filmed in high definition. The new series — shot in razor-sharp ultra-HD — uses even more technological wizardry. Stabilizers and drones let the cameras roam, capturing creatures'-eye-views of leaping lemurs and fighting Komodo dragons. Remote camera traps allowed close-ups of elusive snow leopards and grizzly bears. The result is a show that gets viewers closer to the animals than ever before — and more emotionally involved. Broadcast in Britain in the fall, "Planet Earth II" has been sold around the world and starts airing this week in Canada and Australia. Attenborough says in the past, program-makers felt "we weren't giving the viewers the climax that they wanted" if a predator failed to catch their prey. In real life, he said, "the failure is more common and more significant than the catching. ... Lions fail about eight times out of 10." Nowadays, producers understand that viewers often want to cheer for the underdog. 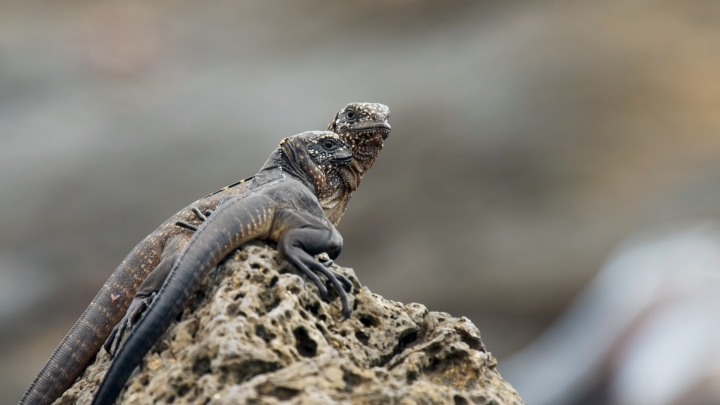 When "Planet Earth II" aired in Britain, millions watched, caught between horror and hope, as newly hatched baby iguanas tried to make it across a Galapagos beach without being devoured by hungry racer snakes. Series producer Tom Hugh-Jones said he thinks a growing number of female producers has added "a lot more emotion" to wildlife programs. "They see different things, little looks or tender moments," he said. "The male producers tend to go for the more bombastic stuff." The crew, who spent more than 2,000 days filming in 40 countries, also faced the fraught question of whether to intervene in life-and-death situations. "We wouldn't stop a predator from catching its prey, because that's the natural cycle of things. And the predator needs to eat as much as the prey," Hugh-Jones said. But crew members stepped in to save a fledgling noddy bird that had become covered in sticky seeds. "In certain situations, where you can see very little benefit of that bird dying, apart from maybe a bit of fertilizer for the tree, it feels fair enough to help the animal out of a sticky situation," Hugh-Jones said. It's not just technology but the planet that has changed in the decade since the first "Planet Earth." For one thing, a majority of the world's population now lives in cities. Alongside episodes exploring islands, mountains, jungles, deserts and grasslands, "Planet Earth II" devotes one episode to urban wildlife — including Mumbai's leopards, Manhattan's peregrine falcons and the pesky raccoons of Toronto. Climate change is also reshaping the globe and creating new dangers. It worries Attenborough, who has been exploring the beauty of the natural world for nine decades. He admits he is not an optimist about the future of the natural world. "I don't think the world is going to recover to what it was like when I was a boy," he said "But I am persuaded that we can ameliorate things. We can prevent things getting worse than they might be if we did nothing." 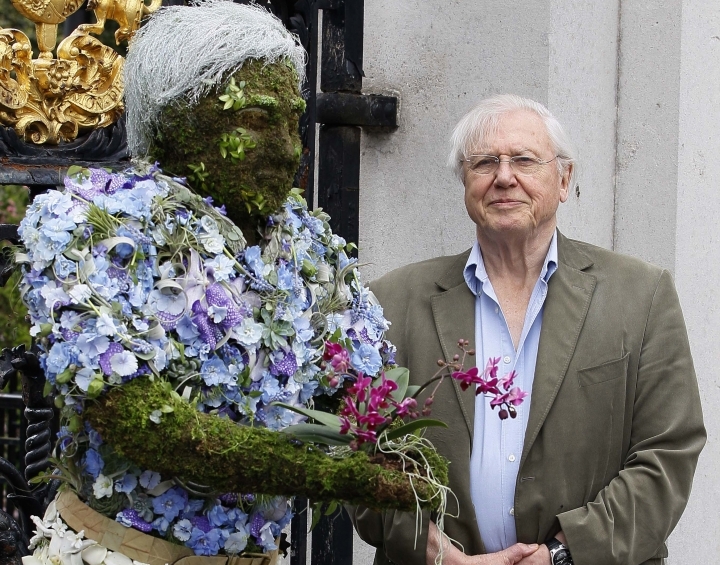 Attenborough thinks the keys to that are cutting waste and getting far more of our energy from renewable sources. He's among the scientists and educators behind the Global Apollo Program, aimed at drastically cutting the cost of carbon-free energy. Attenborough believes plentiful and cheap green energy is "just out there, just beyond our reach. And all we need to do is organize scientific research to solve the particular problems on that roadmap." "It's not there yet, but it's possible," he said. "And while there's possibility, there's hope."